We really enjoyed the coming class and market tour, it has been the highlight of our trip so far! Thank you very much for sending the recipes, we can't wait to make these when we are back in Germany. Thank you very much for your wonderful class today! 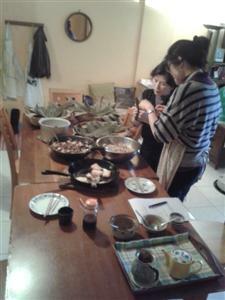 Taiwanese home cooking was the right choice for us and very inspirational. You are definitely a wonderful cook and teacher. I want to come back and learn more! I wanted to let you know how much I enjoyed the cooking class last Friday. I feel very confident I can now make Chinese flavours that will delight my family and friends. I will have so much fun layering the flavours and making food that has different flavours and textures. It was a very educational and most enjoyable session. When I have made some of the dishes at home in Brisbane I will email you again to let you know how I go! We spent 3 days with Jodie for a Chinese Cooking Basics course. She adapted to what we wanted to try & we spent a great day learning about the basics of Taiwanese cooking via notions of a balance of flavors & dilemmas. My 12 year old son & I were kept busy & interested the whole time - her explainations are very clear and she was patient with my son - and me! Her English is perfect BTW. 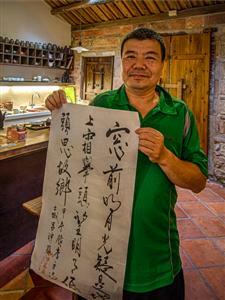 A great experience to better understand Chinese cooking & Taiwanese culture. 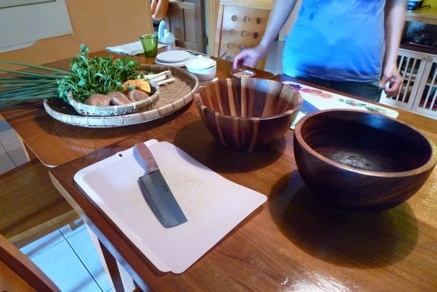 We really enjoyed the cooking class and got the pots and knife for the class. Here is the link to the photos and video we took. 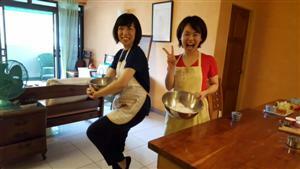 Thank you very much for your cooking class on 27th! My mom and I enjoyed a lot of your class. Thank you once again for our class with you and our 2 boys last week. :) We had a great time. We made some of the dumplings today! 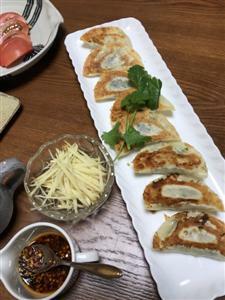 We made the fold-over ones, the green onion pancake and the sesame/sugar one. By the way, all our dumplings turned out great. My husband actually took the lead and made a lot of them himself - I'm so glad we signed up for your class. It was really educational for all of us! Thank you! I had such an excellent time hanging out with you! You taught me a lot about the joy and energy of cooking and how it translates into technique. Thank you so much for welcoming me into your home. Thank you once again for the cooking class last week, it was wonderful. Thank you for giving me so much inspiration every time. I learned much more than just cooking from you. See you next time! Thank you for everything! I'm really glad that learn your lesson and to see you. I'm Tsukako Imura, had your lesson on 23th. I came back to Japan the day before yesterday. I really enjoyed your cooking class, thank you so much! I've just made dumplings for dinner! My family enjoyed dumpling party! My sister was surprised that dough was so smooth and easy to shape. The class was such a priceless experience. 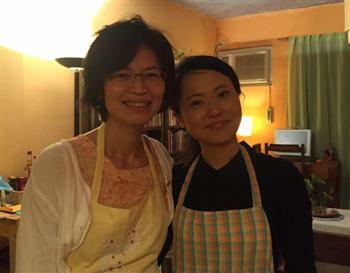 I really enjoyed learning about the fundamentals of Taiwanese cooking. I feel like a whole new world of cooking and eating has been opened up to me. I think that it's also important to acknowledge that knowing how to make all of the tasty sauces will allow me to cook and eat more healthy foods and maintain a healthier lifestyle. Thank you for opening up your home to us. In addition to the cooking information the conversation was great and very informative about Taiwanese culture and history. We had a great time. Thank you for the wonderful time. We are already looking forward to the next class. Hope to see you again. Hello! I got back to Japan last Saturday's morning. Thank you for teaching me lots of productive things at your cooking class. That was a great time for me. I could find that knowing about the basic of cooking is necessary for us to cook. And I love your cooking style, that’s why it was so simple and beautiful! Thank you so much for sharing your kithche and home with me during my two classes with you. 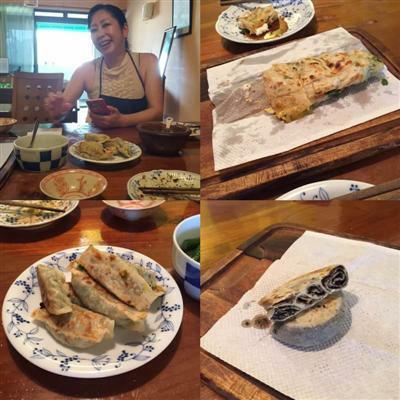 I learned so much about Taiwanese culture and can't wait to make and share these dishes with family and friends when I go hoem. Thank you too for the dmpling rolling pin, I know it will be put to good use. I will recommonded it to my studens and fellow travelers that I've met. Jodie's kichen was one of the highlights of my time in Taiwan! 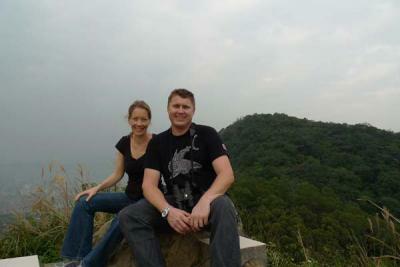 Well, we have returned home, and we have many great memories of our visit to Taipei and your cooking class. It was certainly a highlight of our visit. We feel we learned a very unique style of cooking and we are looking forward to trying the recipes at home. Thank you again for the experience. 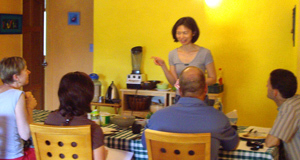 Just wanted to tell you again that I really enjoyed your cooking classes and found them to be a valuable experience. 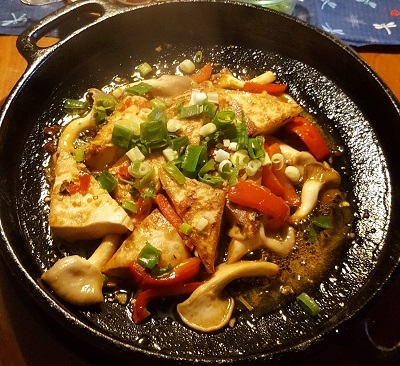 I learned a lot about how to improve and expand my Taiwanese-style cooking, which I think helps my entire family. And, I learned how to do it quickly and easily, which helps me tremendously! Thanks for teaching us the class today. 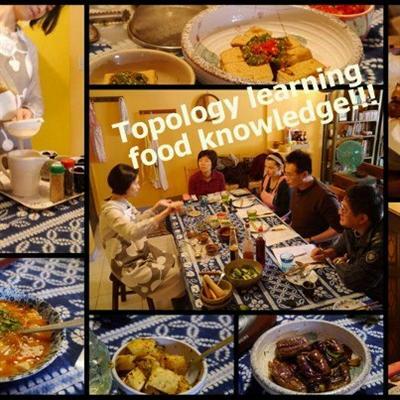 We had a great time learning the dumplings as well as understanding more insight about Taiwan's culture through our candid and lively exchanges! Thank you so much for helping to make my daughter's wedding celebration so special. We appreciated your hospitality, your humor and your willingness to laugh with us crazy foreigners! It would be wonderful to have you visit my home- I will teach you to make kangaroo pies! I wanted to convey a BIG thankyou – for your fantastic hospitality Sunday week ago. Victoria and I had a great day; we were so lucky to have spent it with you. Hello, its been a week since I left Taipei. I miss you and Taipei. Thank you very much for everything. I learnt a lot from you. You also helped me a lot besides cooking. Never thank you enough. On the last night in Taipei, I went to the supermarket and the old street you reommended. I bought some food. Now, I get back to normal life in Japan. I make some dressing everyday. I also made green onion pancake. I put cheese and ham. I put Japanese miso into another one. Your tofu and Genovese pancake was so delicious , I can never forget the taste. I will try to make it someday. I really like cooking , but always rely on ready meal and easy quick meal. But, now I feel like I want to create my flavor and learn more. 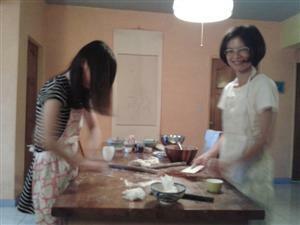 My cooking class in Japan was just making dinner with classmate. So, your class gave me a lot of ideas. We enjoyed meeting you. We learned a great deal about Taipei and about Taiwanese culture and attitudes to life through our conversations. 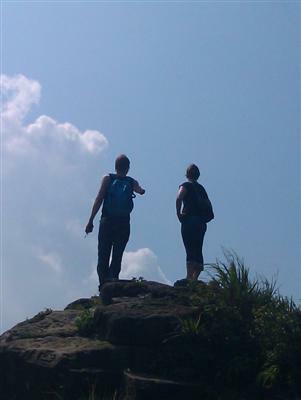 We find this is always a personally rewarding aspect of taking a guided walk, and we try to do it in all the cities we visit. 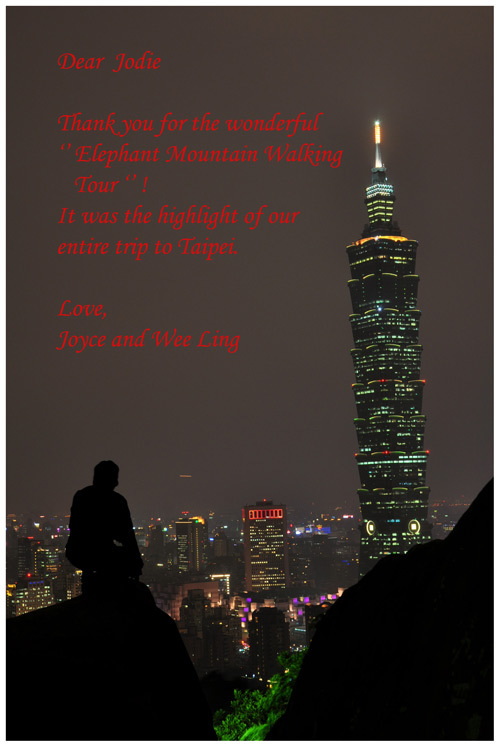 We were pleasantly tired after our walk up Elephant Mountain and managed to sleep well on our overnight flight home... We will certainly recommend Jodie of Jodie's Kitchen to any friends travelling to Taipei. Thank you again for two wonderful days visiting sights of Taipei. For us, you will always be the face of your country. I can't tell you how great it was to get to talk with you and enjoy such wonderful food. I made a noodle and vegetable dish for my friend just like you showed me. She was so surprised that I was able to make such a wonderful and delicious dish! I told her it was all because of my classes with you!!! She is looking forward to trying some more of the dishes you taught me. My girlfriend, sister, and I did the Market and old Taipei tour (Dadaocheng and Dihua Street) with Jodie and discovered a part of Taipei that we never knew existed, even after living here for well over a year. Between the vibrant, lively atmosphere of the food market, the traditional storefronts and fair-trade shops, and unexpected beer garden (which served tasty, local food) beside the temple, it was a wonderful and highly memorable afternoon. Jodie, thank you again for such a wonderful experience! 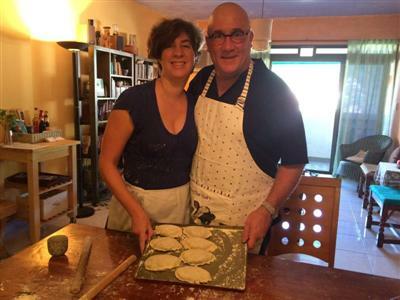 When friends ask what they loved most about the trip, our cooking lesson always makes the list! We had such a great time meeting you and learning from you. It was a gift! Hello Jodie. We're back in Japan, and trying to get back to regular life. 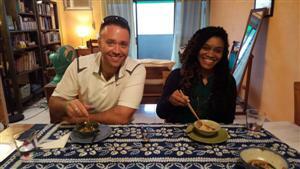 Taiwan was wonderful, the food was wonderful and your cooking lessons were the best! Thank you so much! 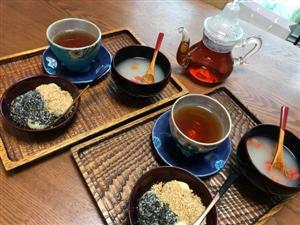 We relax with some freshly brewed pu-erh tea before contemplating more cooking and more food. Next up is Taiwanese hot and sour soup (suan la tang). Here Jodie uses a unique secret recipe for making a vegetarian soup base that still delivers the full flavour more usually found with a chicken-consomme base. We taste it first without seasonings before adding vinegar, white pepper and cilantro for added kick. I must confess to going back for seconds. I wanted to take the time to thank you for a very warm experience. There have been many a fond memories whenever I drink tea and that day spent in Taipei is yet one more in my collection of stories. It may amuse you to know that I got my 2nd tea set today at the airport. I can't wait to serve it the way you taught me to, when I have guests at my place. We had a great time! Thank you so much! Thanks for sending all the tea articles! I'm hoping to impress my husband's boss next time he is in Switzerland. He really struggles with the Swiss food and I now feel much more confident about inviting him to eat with us more frequently. Also I hope to introduce the Swiss employees to dumplings and tea! I don't understand the high tech world of my husband's company, but I do understand people and food. I hope to help bridge the culture gap in this way. I actually think that with a bit of nudging my boys might even make dumplings for their friends! 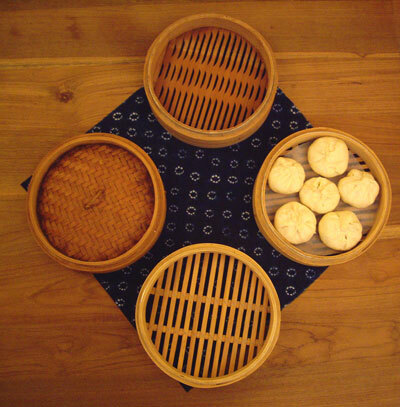 I look forward to having a dumpling making party with my Swiss friends! Link to review (in Japanese). I had my 4-hour session of delicious dumpling making with the wonderfully delightful Jodie Tsao. 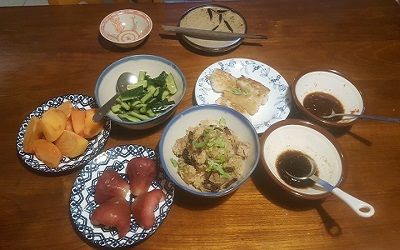 In her modest kitchen, just midway up the mountains that circle the perimeter of Taipei, I was taught, one on one, to make the most delightful dumplings I’ve ever tasted out of freshly cut pumpkin, shiitake mushrooms and fragrant deep green spring onions. For quick breaks, we’d have fresh tea. 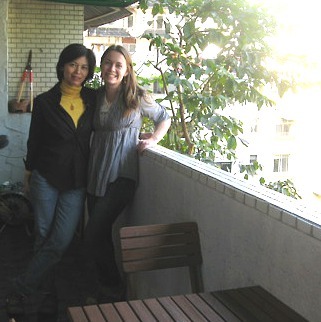 Jodie taught me how to drink tea the way they do in Taiwan. She asked me what tea I liked. Jodie pulled out two pots and after the kettle boiled, poured hot water into both to warm them. Using real leaves, not the common tea bag, she measured the Pu-Erh into a small teapot and poured in freshly boiled water, and let it steep quickly. 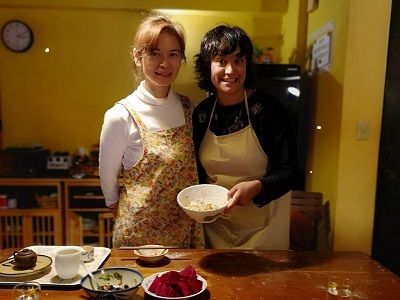 I learned so much from that afternoon – not only how to make the best dumplings this side of Asia, but regained a great sense of pride in my life, and grateful for blessings in being a woman. Thank you Jodie! Read more on this guest's cooking blog, here and here. Wee Ling said from now on when she climbs a stair, she will think of Elephant mountain. 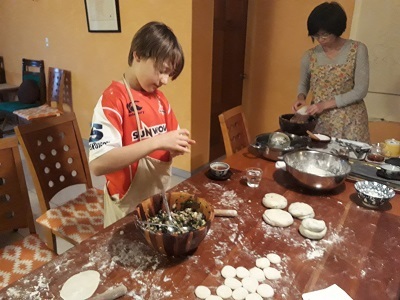 My husband and 2 sons enjoyed our dumpling class with you so much! I just got my photos developed today and as we went through then we recalled your class. 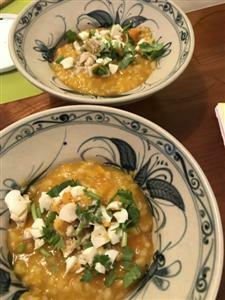 My youngest son, a notoriously picky eater, said your recipes created the best meal he had in Taiwan and when we discussed the trip's highlights my husband and boys all mentioned your cooking lesson. You were gracious and knowledgeable and I thank you again for offering your home and your skills to visitors. Thank you so much for the wonderful cooking class and for teaching me and my friends all the wonderful recipes! We had a fantastic time! I will most definitely be making another trip back to Taiwan! I attached the pictures we took in your home. Also, thank you for the copies of your recipes and for the rolling pin! We will definitely be using them around here and making the dishes for our friends! And if you ever make another trip to South Korea, just send me an email and I would love to meet up with you! Take care! Hello, This is Chiaki from Japan. Thank you very much for your fabulous cooking class last week! You just taught me something new, I did not know before. I felt as if I visited one of my old friends and enjoyed cooking and talking. It was so lovely moments for me. I am back to real life, after summer vacation! I didn't cook dumpling you taught yet... I'm gonna try it next Saturday. If I could take long vacations in Taipei next, I'd like to apply for another cooking class. 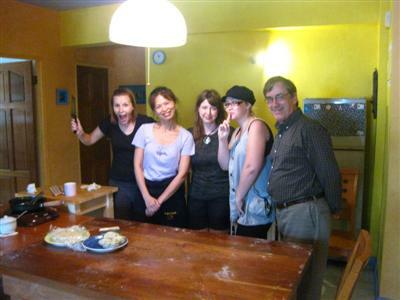 Thank you so much for your wonderful dumpling class on July 23, 2011. It was one of the best experiences I have had in Taiwan in my three years of retuning to the country. I will have to work on the onion pancakes though, I think that I didn't make the dough thin enough to cook properly. Thank you again for such an incredible experience. Best of luck to you! vegetables. Especially the Hot and Sour soup base was really good. Hope you had a nice start of the week! I had very happy time with Jodie. I chose the CLASS 1 of her cookery class. We made much meals with sauces. That was much healthy and so delicious! She taught me them so gently that I'm able to try them again at home! 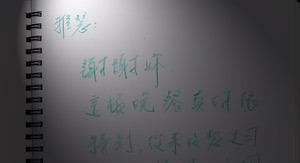 Though I'm poor at English, I chat with her pleasantly. In the next time I go to Taiwan, I want to see her and take another chass. I've been cooking at least twice a week and feel really comfortable trying new things in the kitchen. Your cooking class changed my life! Hope you had a good new years! Thanks! ... It was so much fun! I learned how to make my own soymilk and ways to make it tasty really yummy. 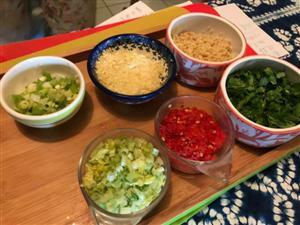 I also leaned how to make my own delicious chili oil, sesame paste, sesame paste, a few different Asian dressings, hot and sour soup and a few other dishes. Every time she made one dish she was telling me three or four other ways to the ingredients. It was a one on one class and it was really wonderful talking to Jodie... It was well worth every penny!! We had a great time. I love the way you approach food and this course was exactly what I was looking for. Everything made from scratch, so fresh and healthy... I feel like these are the fundamentals - and if I master the knowledge of these ingredients and sauces that I will have a good basis on which to make other healthy and wholesome asian dishes. Luckily, we have a very good source in Shanghai who has most of these quality ingredients at reasonable prices in the city. 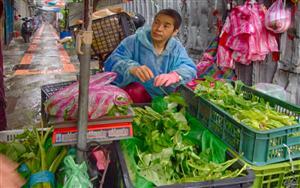 There is a local Shanghainese lady who owns a wet-market on Wulumuqi lu. Over the years many of the western style restaurants and quality Cantonese and Tawianese restaurants have arranged with her to bring in import ingredients and source locally produced, organic and healthy products as prices far less than the big grocery stores. So we can find many of these basic items and trust the quality. I'm going to start making these soups and sauces and playing around with recipes and see what I can come up with. You're quite right in that even though we have been in China a long time, there are still some ingredients and items that it's difficult to imagine cooking with. For example - I know that sesame is a big ingredient in a lot of asian dishes, but I had no idea how versatile and how tasty it is ! As you can see I'm putting my new skills to work. I want to thank you for a wonderful time during my first day in Taipei. You are a warm, patient and caring woman with a lot to share with others. The experience that day was a magnificent introduction to the culture, community and history of Taiwan. I just want to thank you again for all you have done for us! We all enjoyed the cooking class VERY VERY much. 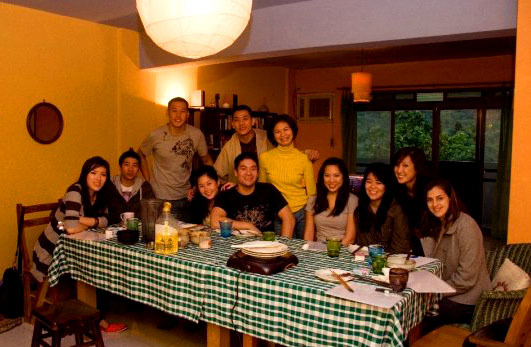 My friends and I are raving about the experience and now, we want to try taking another cooking class in Hong Kong. You taught us so much and we will put this experience to good use! Jodie focuses on teaching her students the truest form of traditional cooking: using the core seasonings and ingredients to create the flavors that Chinese food is known for. To me, flavor is what truly differentiates Chinese food from any other cuisine, and once you know how to mix and match the flavors and seasonings, you can create many dishes. 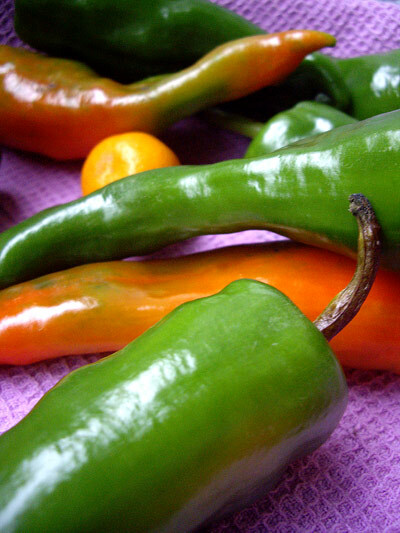 Jodie teaches you how to create these flavors and sauces, which can be used for vegetables, grilled seafood, soups, and more. Everything was simple and delicious. 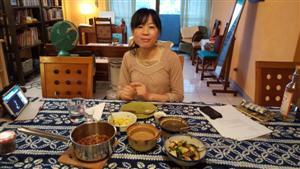 Jodie showed us sour-and-spicy soup, how to prepare homemade soy milk (which is delicious! 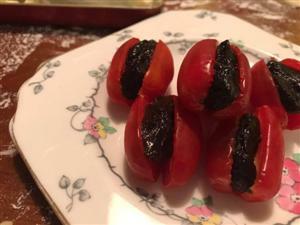 ), as well as a sesame paste, spicy Sichuan flower pepper oil, and a simple Taiwanese dressing - all of which are easily added to veggies, noodles or meat. 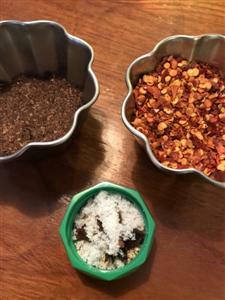 Jodie does a good job of giving a basic explanation of vital ingredients, and then showing how they can be mixed together to create the various flavors. 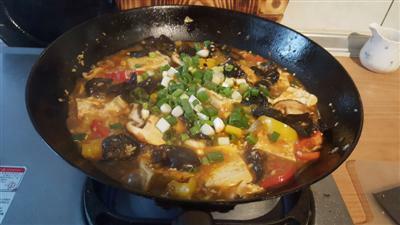 Photos on this page courtesy of: Joyce Tay, Peter Dwyer & Jodie's Kitchen Guests. Thank you!